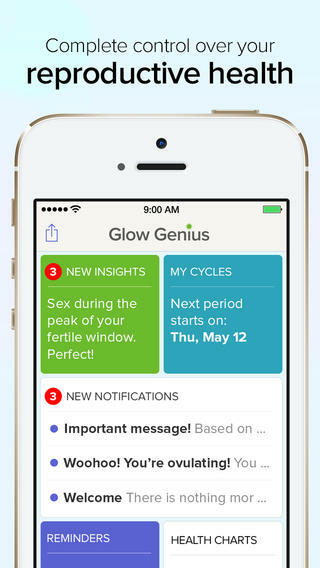 Now that we’re officially trying for a baby, and with my personal tech obsession, it makes sense to delve into the world of fertility apps. Fair warning, I’m about to talk about all things period – feel free to avert your innocent eyes! 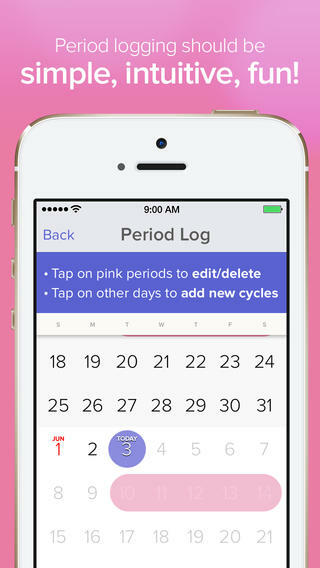 I’ve been using a cycle tracker for the last couple of years anyway, as I wasn’t on the pill and I wanted to ensure I wasn’t caught short. 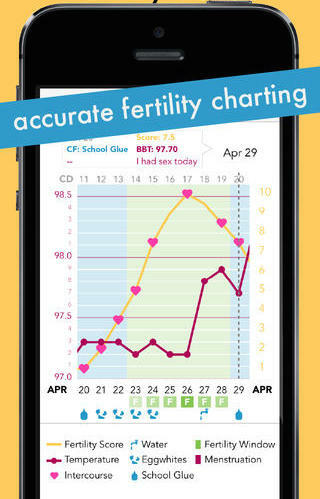 This tracking seems to set me at an advantage for the fertility apps, as I now have quite a lot of information on past cycles, which makes it easier for the apps to predict dates of ovulation, greatest fertility, and the rest. 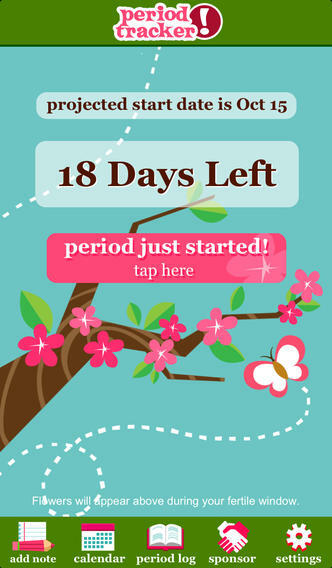 An easy, free app that you simply get going by hitting the “period started!” button (obscure, I know). While it was a little too “pretty” for me (flowers, pink borders and the like), it certainly did the job. This one was a beautifully designed app, that had a bit more info, and more opportunity to log data – temperatures, cervical fluid (yum! ), ovulation tests etc. The only thing I didn’t like about this one was there was no connection to anyone else using the app, and it could be a little, well, huffy at times. Having reminders with “Make sure you log your data!” were helpful in keeping you on track, but seemed a little cranky. I know that sounds stupid, but after looking at the same reminder daily, I was a little put off. 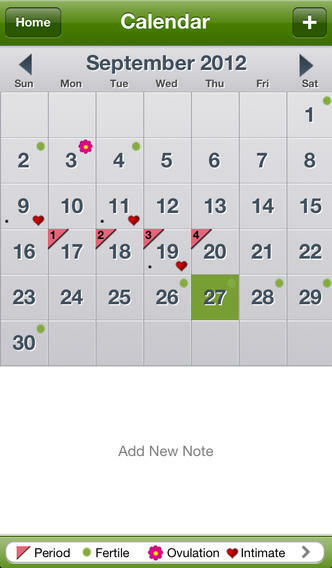 However, this app has a pregnancy companion, Ovia Pregnancy Guide, which is just as well set out. I may in fact head back to Ovia once the bun is in the oven. Again, beautifully designed, well set out, with all the same features as Ovia. In addition, you can link it to calorie/food tracking and exercise apps, including one I use (MyFitnessPal), and it will transfer your information across. The best part about Glow, in my opinion, is its forums. Integrated into the app, you can find any topic you’re after, and it’s split into “Trying to Conceive”, “Success Stories”, “Support”, and a number of others. I’ve found this fantastic for reading up on the pregnancy stories when I’m feeling optimistic, and being able to avoid them completely when I’m feeling like conception’s not going to happen any time soon. There are, of course, some nutters on the forums, trolling whoever they can, but I’ve found some genuinely lovely people on there who you can share the highs and lows with, without fear of telling friends, only to then have to “untell” them if something goes wrong with the pregnancy. I’ve been completely addicted to the app since I installed it last week. I’ll let you know how I go as we progress with Glow, however it’s been great as a support tool, as well as a wealth of information on what I should be looking for, and what’s happening with me. Hopefully sometime soon I can review the pregnancy apps I have sitting on my phone as well, when they’re actually needed (instead of me putting in phantom due dates to see what they do!). I use Kindara and love it. 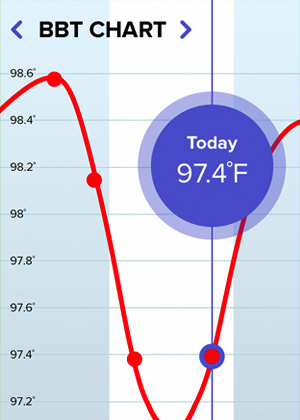 Three of the apps are coming (pre-order) out with Bluetooth thermometer to help with BBT.